If you’re self-conscious about a damaged smile, restorative dentistry from Feigenbaum Dental in Creve Coeur, MO may be the answer. With various treatments – tooth-colored fillings, porcelain dental crowns, fixed bridges, and dental implants – we can return your smile to its natural beauty when damage has stolen your oral health, function, and appearance. Our Creve Coeur, MO dental office offers tooth-colored fillings and porcelain crowns, improving your smile with dental restorations that not only offer excellent function but fabulous results as well. We also offer metal crowns and porcelain-fused-to-metal crowns because all-porcelain crowns are not always the best option, but metal-free restorative dentistry is available when it meets your smile’s needs and cosmetic goals. Tooth-colored fillings are also a metal free option, and they’re mercury free as well. 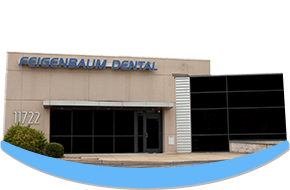 If you’re interested in making sure that the restorative dental care you receive is both beautiful and functional, visit Feigenbaum Dental in Creve Coeur. Are you struggling with a tooth that’s pained or excessively sensitive to temperature? Has your tooth darkened in color or been surrounded by inflammation? These are all signs that the tooth in question has become significantly decayed to the point that extraction might be necessary. Thankfully, endodontic care (also known as root canal therapy) can be a saving grace in many cases, restoring the tooth’s health and helping you to maintain a beautifully natural smile. 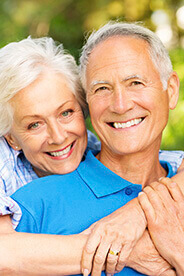 As you can see, tooth replacement is extremely important for ongoing oral health. The three different main options include both removable and non-removable tooth replacement, making it easy for us to find a smile to fit your budget, your lifestyle, your desires for your appearance, and your oral health. Our dentists offer three different options for adult orthodontics at our Creve Coeur dental office. Invisalign is a system that is well known for providing orthodontic treatment with clear aligners that give patients a more pleasing appearance and greater comfort during treatment.